Afaxys Pharmaceuticals sells birth control products…and is connected to Planned Parenthood in ways PP would rather keep quiet. Ronda Dean worked for three years as vice president of Planned Parenthood Federation of America and left in 2008 to become cofounder, president, and CEO of Afaxys. Christine Charbonneau, CEO of Planned Parenthood of the Great Northwest, was a cofounder of Afaxys, and is chair of Afaxys’ board of directors. Sarah Stoesz was CEO of Planned Parenthood Minnesota, North Dakota, South Dakota, and is a cofounder of Afaxys. Linda Williams, CEO of Planned Parenthood Mar Monte, has been a board member of Afaxys since 2009. Don Boychuk formerly held CAO, COO, and CFO positions at Planned Parenthood Minnesota, North Dakota, South Dakota (2005-2014) and left in 2014 to become the national account manager at Afaxys Pharmaceuticals. Lori Carpentier, president and CEO of Planned Parenthood of Michigan, served first as a member and now chair of 416 Holdings, Inc.—the parent company for Afaxys Pharmaceuticals. 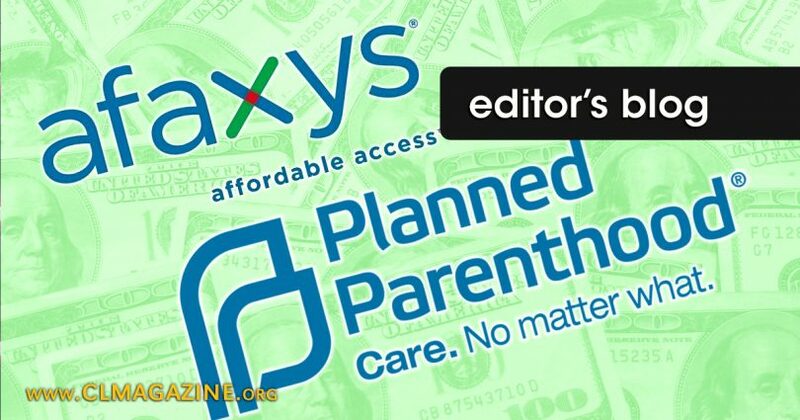 There is no doubt that a Planned Parenthood – Afaxys connection exists; but why does PP want this? Probably because Planned Parenthood and (Afaxys)—its “affiliated company”—are now involved in every step of the birth control supply chain from manufacturing to selling to the public sector. Also, Afaxys only allows clinics (like PP clinics) that qualify for taxpayer funding to purchase its birth control products. It would seem, therefore, that this PP-Afaxys connection is intended to give PP investors and executives access to future taxpayer monies.